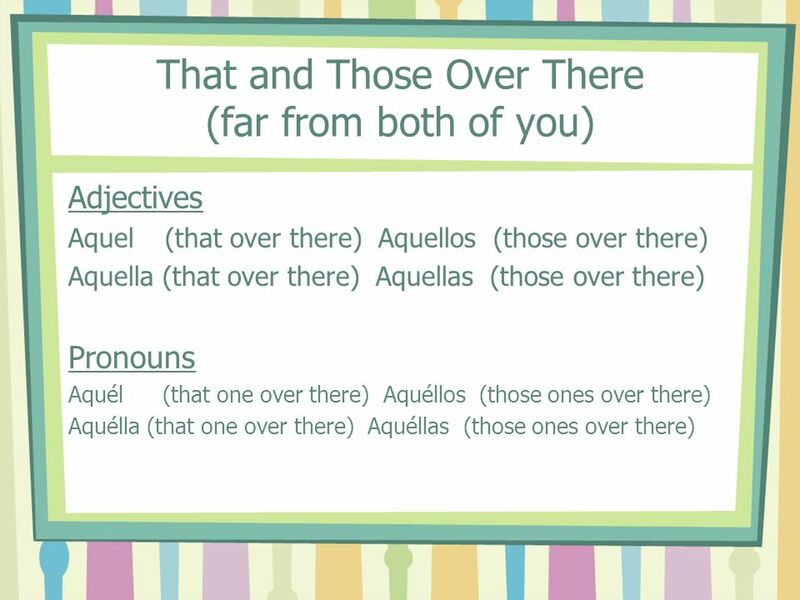 Remember that you use demonstrative adjectives to point out people or things that are nearby and farther away. 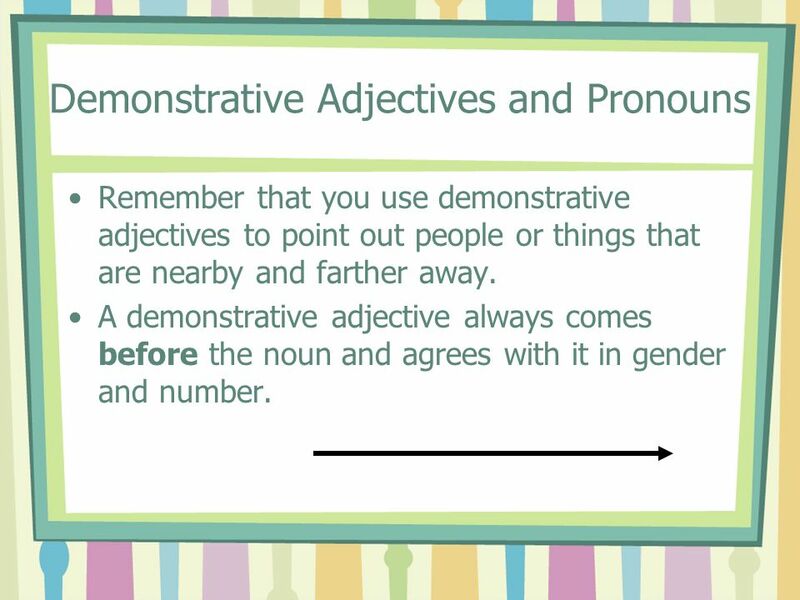 A demonstrative adjective always comes before the noun and agrees with it in gender and number. Me gusta mucho trabajar en este centro recreativo. I really like to work at this recreation center. 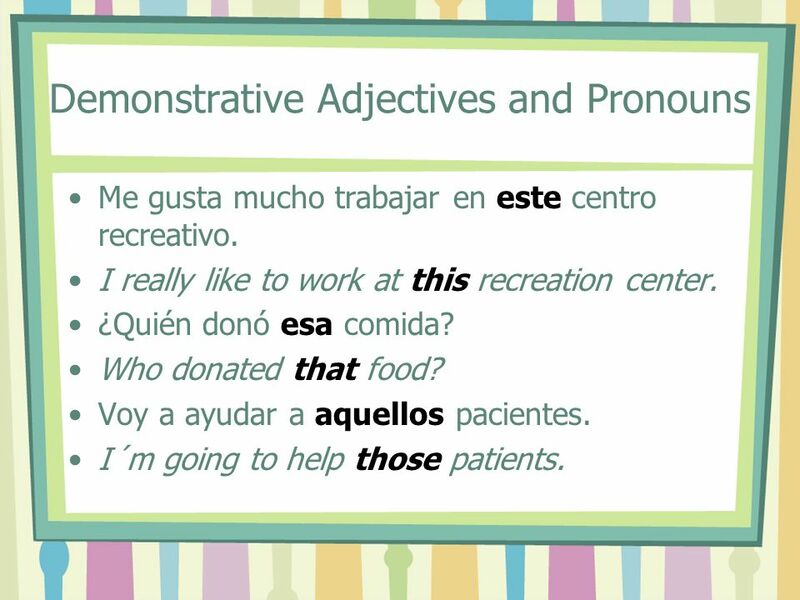 ¿Quién donó esa comida? Who donated that food? Voy a ayudar a aquellos pacientes. I´m going to help those patients. 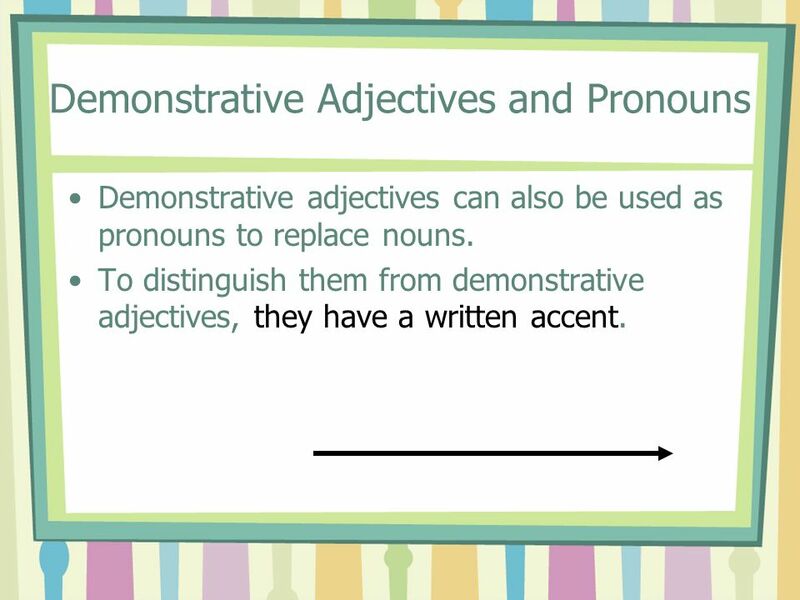 Demonstrative adjectives can also be used as pronouns to replace nouns. 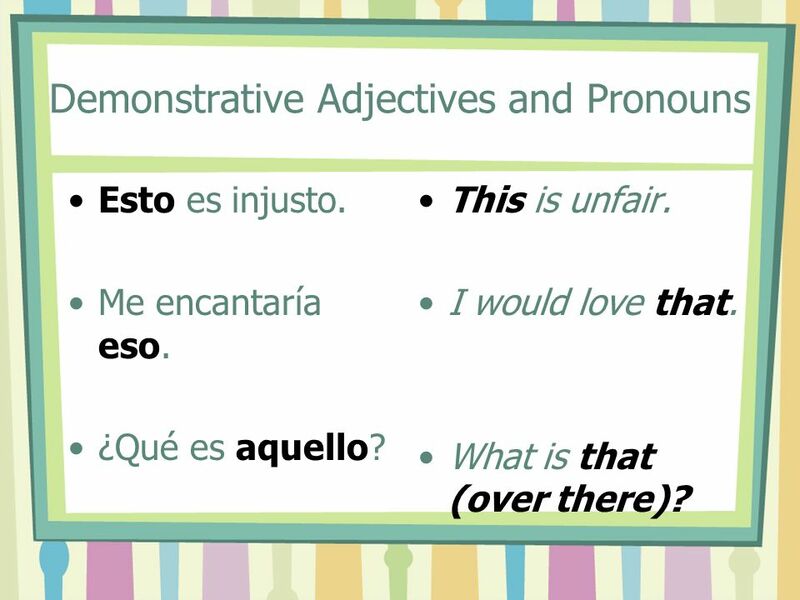 To distinguish them from demonstrative adjectives, they have a written accent. Me es imposible trabajar para este candidato, pero me encantaría trabajar para ése. 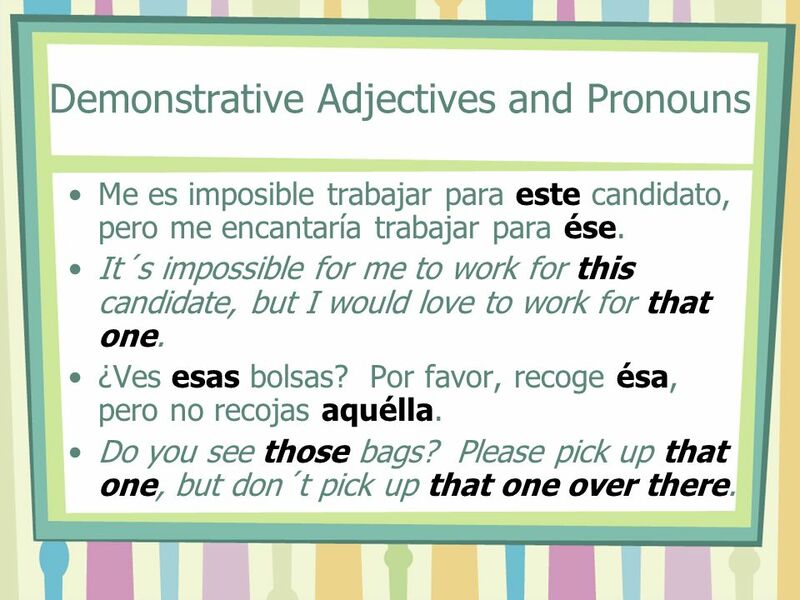 It´s impossible for me to work for this candidate, but I would love to work for that one. ¿Ves esas bolsas? Por favor, recoge ésa, pero no recojas aquélla. Do you see those bags? Please pick up that one, but don´t pick up that one over there. 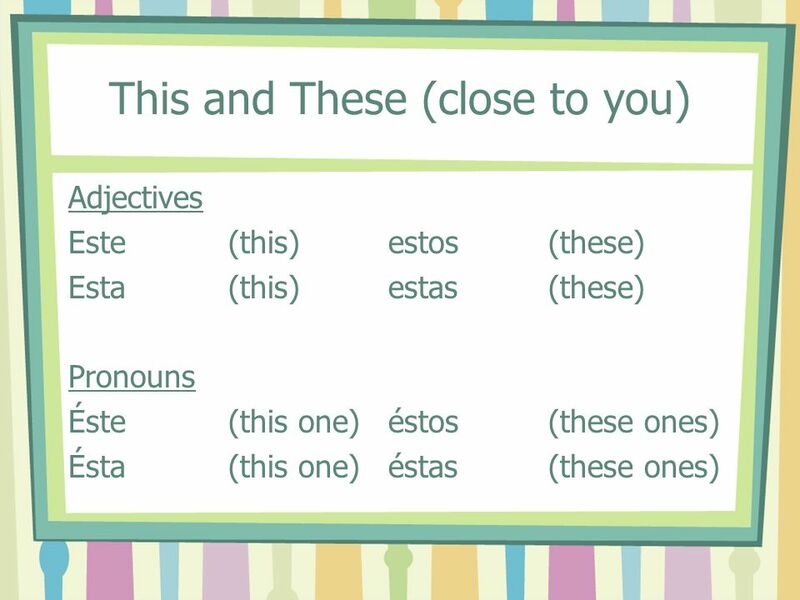 To refer to an idea, or something that has not been identified, use the demonstrative pronouns esto, eso, or aquello. 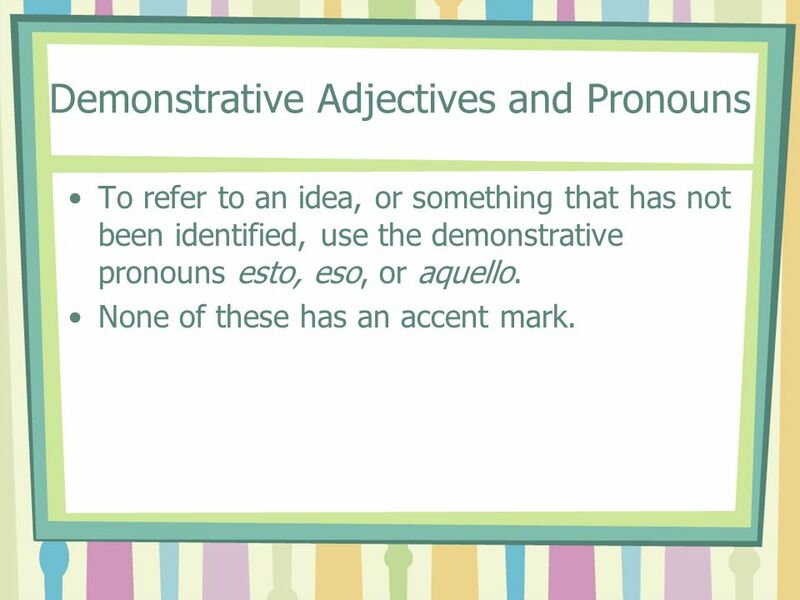 None of these has an accent mark. Esto es injusto. Me encantaría eso. 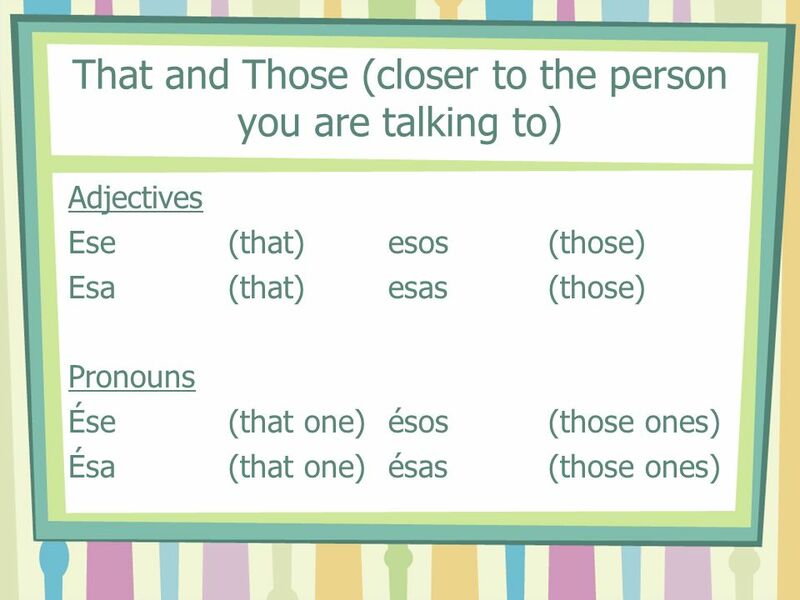 ¿Qué es aquello? This is unfair. I would love that. What is that (over there)? 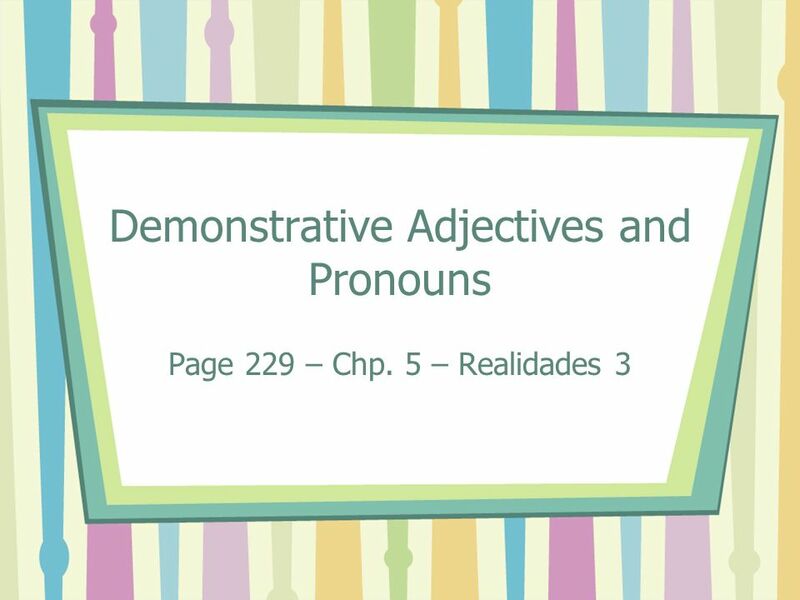 Download ppt "Demonstrative Adjectives and Pronouns"